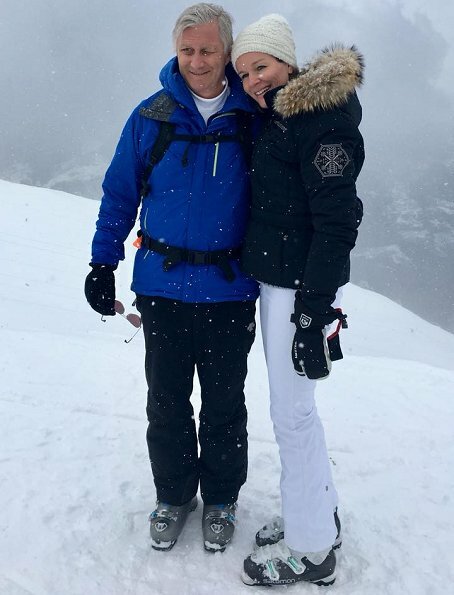 The Belgian Royal Family is currently in the Verbier, Switzerland, on holiday. 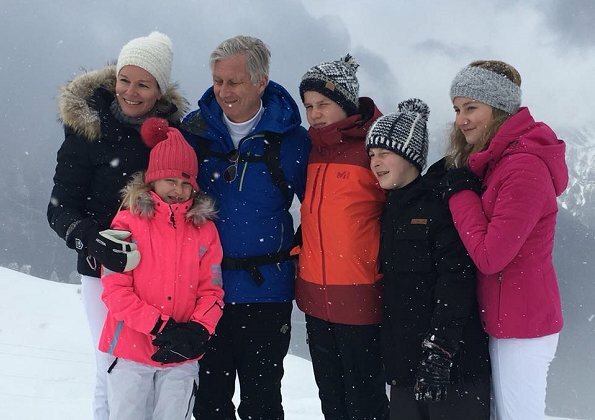 King Philippe, Queen Mathilde and their four children, Crown Princess Elisabeth, Princess Eleonore, Prince Gabriel and Prince Emmanuel of Belgium pose during their ski holidays on February 12, 2018 in Verbier, Switzerland. Belle famille! Gabriel est aussi grand que sa grande soeur Elisabeth... Et il est le plus beau des 4 enfants! They seem to be such a nice family. The younger kids will be very tall as adult. 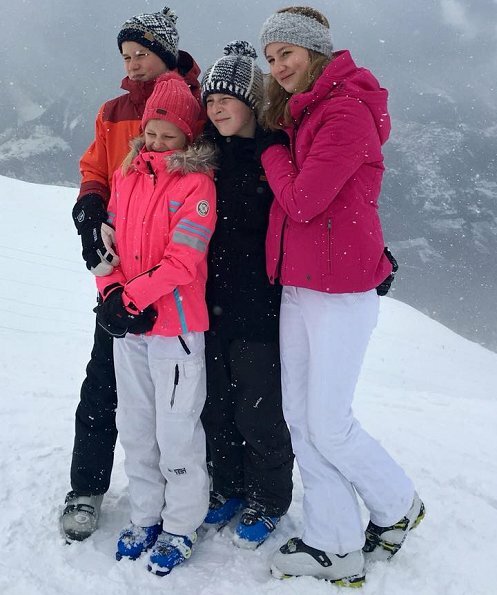 Gabriel is now 14, Emmanuel 12 and Eleonore only 9. Please let’s not compare the attractiveness of the people we comment on, especially siblings. Their makeup, dresses, shoes, etc. are fair game and that’s where we can make all the judgements we want. And we all have different opinions and that’s when we have fun. ik vind het een leuk gezin !!!! 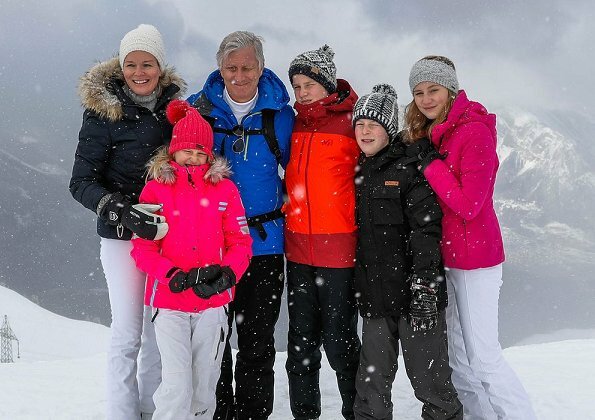 There is something about the Belgian Royal family that strikes me as wonderfully warm and simple at the same time. I don’t know exactly what (nor, to be honest, do I feel like I need to know). It’s in the air - every time I look at their pictures. Regal but unassuming all at the same time.